There are several Red Canyon areas in Utah. 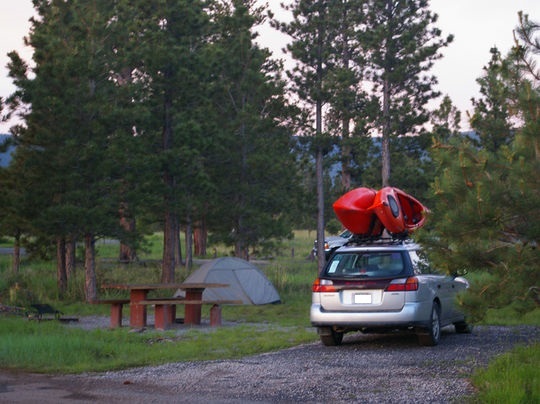 This campground is in the Ashley National Forest near Flaming Gorge and Vernal in northeastern Utah. This is not in Dixie National Forest near St George. Red Canyon is a small campground with picnic tables, fire rings, vault toilets, garbage containers and drinking water. Limited shade is found beneath Lodgpole and Ponderosa pine. Nearby Greens Lake offers great canoeing and fishing for rainbow and brook trout. The Red Canyon Rim Trail provides spectacular views for hikers and mountain bikers. Enjoy our virtual tour of Red Canyon Campground below then follow the link to check out all the other camping opportunities in this stunning area of Flaming Gorge.